Louisville Armory offers three sophisticated shooting bays: twelve lanes for pistol and six lanes for rifle/pistol. Our lanes are twenty-five yards long and visibly marked at three, five, seven, ten and fifteen yards to help you position your target. To keep you focused, each of our lanes has an automatic target holder, individual stall lighting, sound absorbing material, and armor plating between lanes. An environmental control system in our bays helps to ensure that your shooting experience is both safe and comfortable. You will need to present a government issued photo ID in order to use the shooting range. The shooting range operates on a first come, first serve basis. The lanes are rented out in 1/2 hr and 1 hr increments. If it is your first visit, we will have you sign our waiver of liability. We do charge a dollar, but the waiver will be good for a year. We will follow up with a Range Orientation and Safety Briefing. Any firearms you bring, must be cased, holstered, or bagged; no naked guns carried in hand. 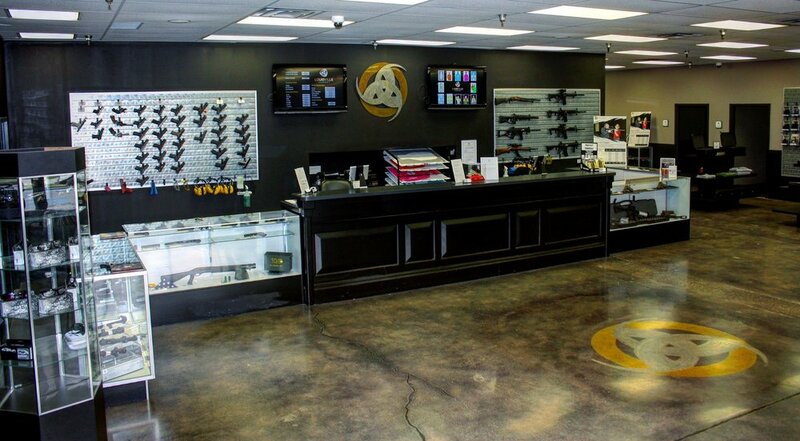 The essentials for the range include: a firearm, ammunition, eye and ear protection, and targets. We are able to supply our guests any of these necessary items in addition to their lane rental. Some guests supply everything of their own, and only must pay for the lane rental. To shoot on our range, we do require you to have prior shooting experience. If you have no experience, we strongly recommend taking a class or coming with an acquaintance who does have shooting experience and would be comfortable coaching you. These steps are put in place to ensure the highest level of safety for all visitors. For more information, please see the Louisville Armory rules or contact us. We allow our customers to shoot until ½ hour after closing time as long as you started by 9pm or 6pm.